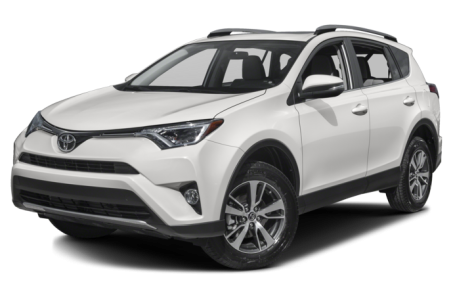 The 2018 Toyota RAV4 is a compact SUV that competes with the Ford Escape, Mazda CX-5, and Honda CR-V. It is powered by a 176-hp, 2.5-liter 4-cylinder engine mated to a 6-speed automatic transmission. Front-wheel drive comes standard, while all-wheel drive is optional. Six trims are available: the LE, XLE, Adventure, SE, Limited, and Platinum. 17 of 17 (100%) consumers said they would recommend this vehicle to a friend.